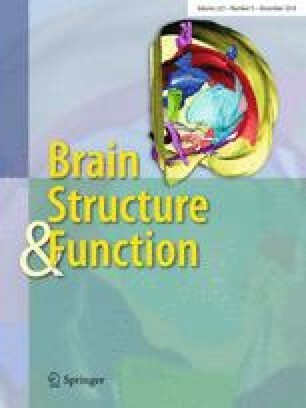 Mature brain-derived neurotrophic factor has been shown to have a promotive effect on synaptic plasticity and spatial memory. The precursor of BDNF (proBDNF) has emerged as a protein against its mature form. However, it is unknown whether and how proBDNF regulates neural excitability and spatial behavior. Through infusion of cleavage-resistant proBDNF or its antibody into HPC, we sought evidence for the influences by employing multiple behavioral tests and recording hippocampal single-unit activity. Our behavioral findings showed that proBDNF induced beneficial effects on spatial learning by facilitating the use of the place strategy and inhibiting the response strategy, including (1) using more place search strategies but less response strategies, and (2) increasing the number of rats in choosing place strategies but not response strategies. Intriguingly, infusion of an anti-proBDNF antibody did not affect rats’ training process but rendered the adaption to learning reversal training more difficult, indicating deficits in choosing the proper learning strategy. The training-induced increase in proBDNF promoted the firing rate of pyramidal neurons but not fast-spiking (FS) interneurons. Importantly, endogenous proBDNF facilitated the neural correlate of spatial, but not response, learning behavior. However, the anti-proBDNF antibody effectively reversed the strategy preference and inhibited neural activity. We herein propose that proBDNF exerts pivotal effects on neural excitability and the use of cognitive strategies to facilitate the spatial learning process. The online version of this article ( https://doi.org/10.1007/s00429-018-1742-x) contains supplementary material, which is available to authorized users. A special acknowledgement is due to Dr. Andrew Roebuck who has offered professional support in language polishing and editing, and valuable comments on the revised versions of the manuscript. This work was supported by Grants from the National Natural Science Foundation of China 31700929 to L.A. Conceived and designed the experiments: LA, WS, CZT, NGX and XLL; performed the experiments LA, XLL and WS; analyzed the data: LA, XLL; wrote the manuscript: LA, WS. There is not a conflict of interest for authors. All procedures were done in accordance with ethical guidelines laid down by the ethics Committee on the Care and Use of Animals Committee of Guangzhou University of Chinese Medicine.